Click the individual Washes to see additional information. 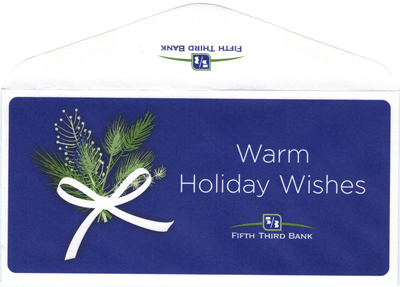 We will mail you a 5/3 Bank Envelope containing 6 (SIX) Prepaid Washes. 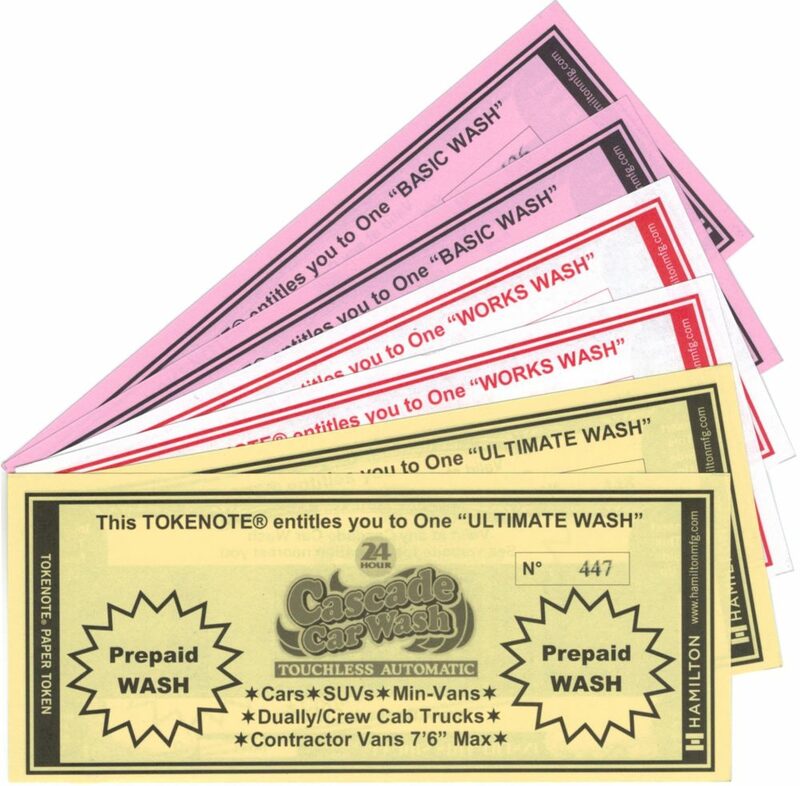 Qty 2 Ultimate Wash + Qty 2 Works Wash + Qty 2 Basic Wash. Tokenotes® can also be picked up at any locations as well in order to save on shipping costs. 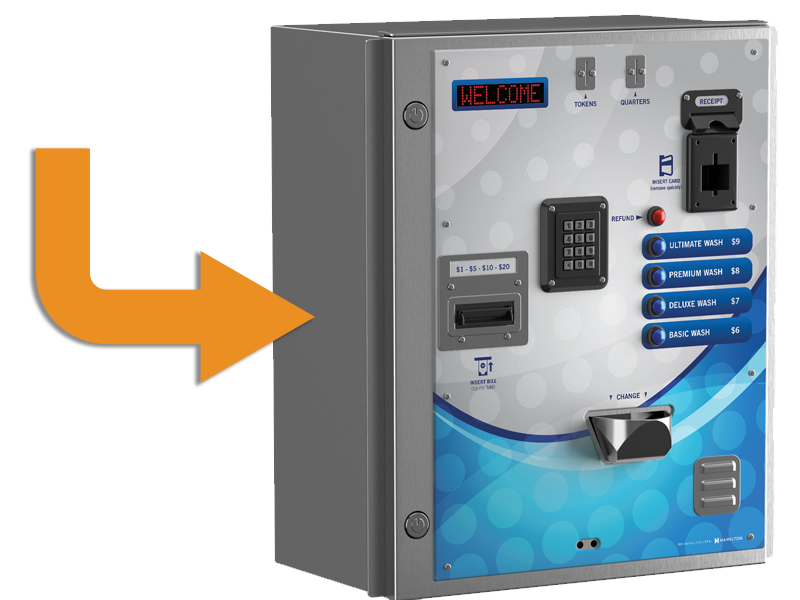 Insert each individual Tokenote® in the Autocashier to ACTIVATE the Wash Cycle. 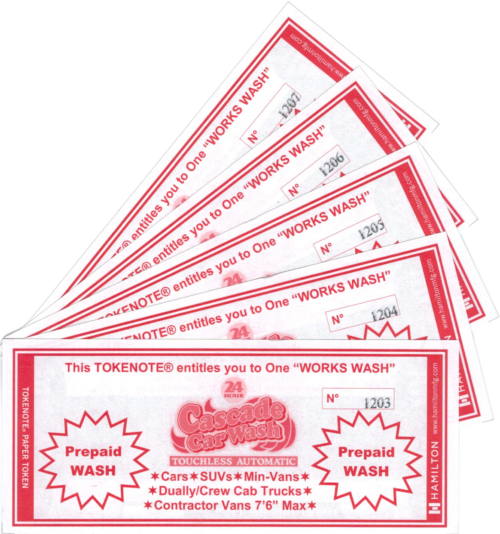 Tokenotes® will never expire. 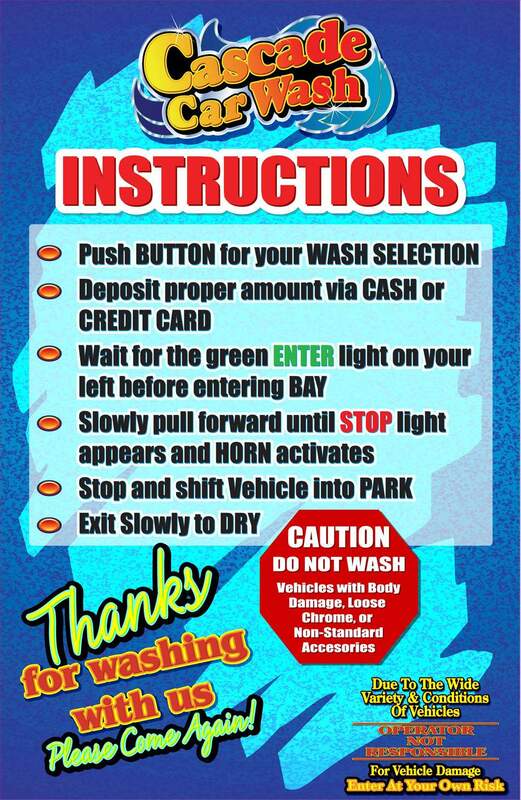 They can be used at all Cascade Car wash locations. You do not have to push any buttons. Simply insert with the bar code facing up and GO!